When you need to flag something up about one of your bookings, or set yourself a reminder to ask your guest something at a later date, you can do this in SuperControl PLUS or AGENCY. 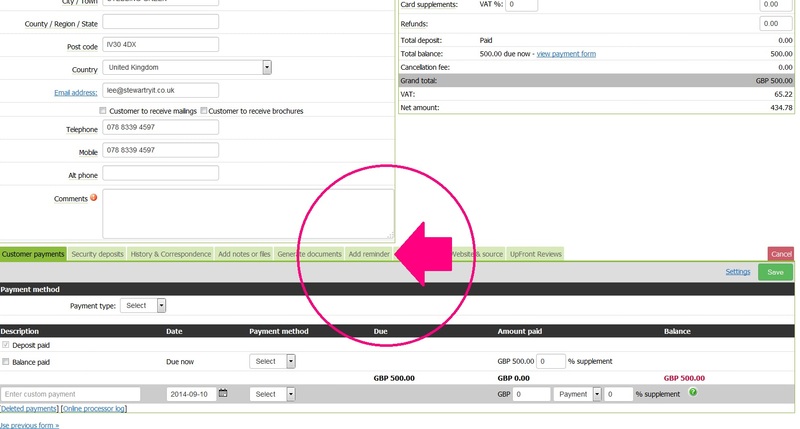 We’ve got it covered with a handy little feature that lots of our clients find really useful. Perhaps you want to send the guest a specific email (not one of your regular scheduled emails), e.g. if they didn’t complete all sections of your booking form you might want to find out the names of the rest of the party before they arrive so you can personalise your welcome pack. Or if it’s a guest that you know because they have stayed lots of times in the past you might have agreed different payment terms, so you need to remind yourself when to expect the final payment installment. Login to your SuperControl account. Go to the booking you want to set the reminder for. Once saved, the reminder will pop-up as soon as you login to SuperControl on the Payment reminders screen, so you can’t miss it. Even if you have a lot of reminders set for various bookings, it is still manageable. One reminder box will pop-up containing all of them listed in date order. 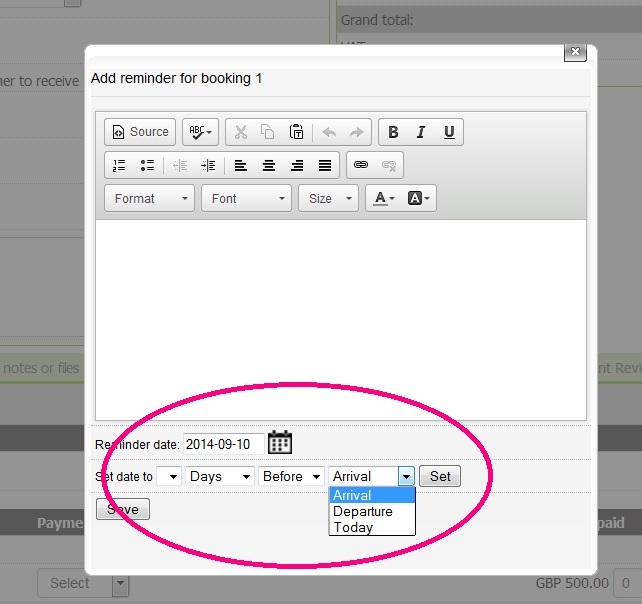 Also whenever you access the booking, it will also pop-up. Just tick to mark it as complete once the reminder has been carried out.